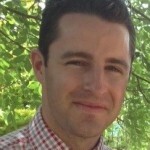 Ai Group Blog > Policy > Industry > What’s in store for Queensland manufacturing? 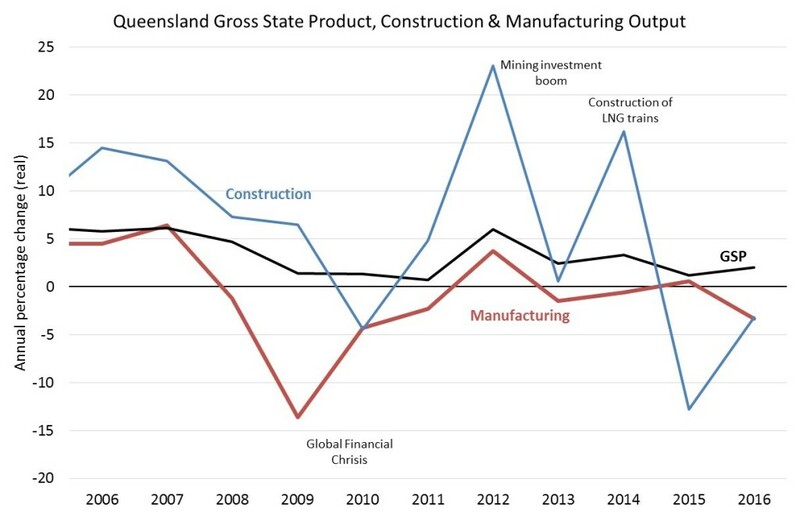 The Queensland economy entered a period of milder growth in 2016, no longer buoyed by the mining investment ‘super cycle’ which included the construction of large-scale mining and LNG facilities across the State. In 2016, residential construction acted as a partial buffer to this downturn, but in 2017 this construction cycle is likely to peak also, so this local boost is set to diminish. On the positive side, Queensland is rebalancing away from mining investment and back to other sources of growth, supported by record low interest rates and a lower Australian dollar. Queensland is well placed to benefit from increased export opportunities (and import replacements) due to the lower dollar and the rapidly growing middle-class markets in Asia. These trends are directly benefiting the State’s tourism, education, food, beverages and other exports. Related commercial construction projects plus a small but stable pipeline of public-sector engineering and commercial construction projects should also provide some support to local growth in 2017. 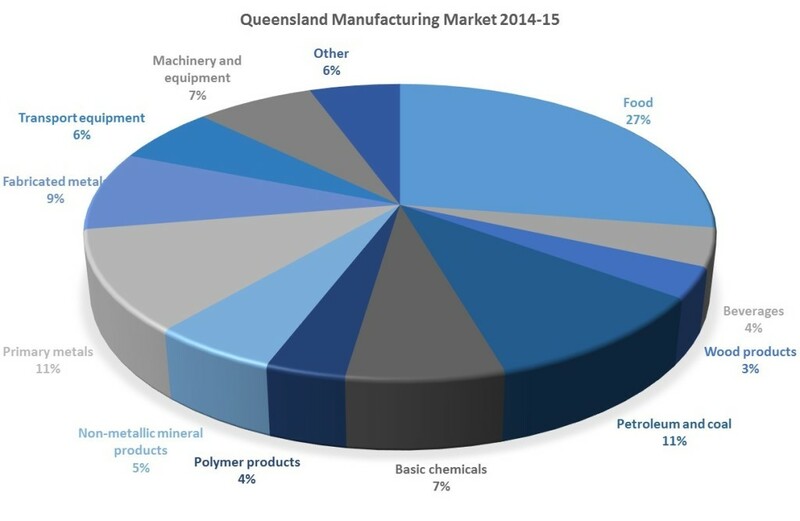 Queensland manufacturers are acutely aware of these local and global trends and changes. Along with the State’s miners, they have contended with declines in mining-related investment and volatile metals prices, which have resulted in reduced orders for equipment, machinery and related maintenance supplies from the mining sector. Most recently, the manufacturing sector has benefited from increased demand from the housing construction sector, from local tourism operators and from exports, largely as a result of the lower Australian dollar. addressing challenges for businesses and workers who are less able to adapt and reposition themselves in a changing market. As one of the largest industry associations in Australia, and with a significant manufacturing membership base in Queensland, Ai Group is preparing a submission to this important manufacturing enquiry, led by our Queensland State Director, Jemina Dunn. Or simply join our discussion on this blog page by commenting below. Manufacturing contributed $9.7 billion in value-added output to the Queensland economy in 2015-16, equivalent to 6.3% of Gross State Product (GSP). It employs around 173,000 people and is the third largest full-time employing industry in the state. There are around 16,400 manufacturing businesses in Queensland, most of whom are small businesses (less than 20 employees). Major Queensland manufacturing businesses include well-known international and Australian companies such as Boyne Smelters (aluminum), Carlton United Breweries, Cement Australia, CSR (building products), Orica (chemicals), Queensland Alumina, Rio Tinto (aluminum), Smorgon Steel, Sun Metals (zinc), Volvo Commercial Vehicles and Xstrata Copper. Queensland’s manufacturers are mainly concentrated around Brisbane but are also located around Ipswich, Gladstone, Mackay and Townsville. In 2014-15 (latest data available), total sales and services income for Queensland manufacturers was over $73 billion. Queensland manufacturing is more than just metals and mining equipment manufacturing. In fact, the $20-billion-dollar food manufacturing sector is the single largest segment, accounting for 27% of the market. This is followed by petroleum and coal products, primary metals products and fabricated metals products. Machinery and equipment (other than transport equipment) is also a significant part of Queensland’s manufacturing activity, as is transport equipment (cars, trucks, planes, boats and more) and basic chemicals. In 2015-16, Queensland’s manufacturing exports earned $16 billion. Food and beverages was the largest export sector (47.4% of manufactured goods exports) in 2015-16 and grew by 3.7% over the year. Metal products were also significant (31.8%) but shrank by 4.8% during 2015-16 (the primary source of shrinkage in Queensland manufacturing export earnings in that year). Machinery and equipment exports (11.4% of manufactured goods exports) fell by 3.0% over the year. The relatively smaller exports of petroleum, coal and chemical products (6.1%) and textiles and other products (3.3%) changed by -9.4% and +0.8% respectively in 2015-16. The overall decline in Queensland manufacturing export earnings in 2015-16 was likely due to slowing Chinese demand for metals, lower metals prices and lower oil and gas prices during this period. In 2015-16, the single largest sub-category of manufacturing exports in Queensland was meat products ($5.8bn or 37.2%), followed by other food processing and metals manufacturing products. Export growth hotspots in 2015-16 included fruit and vegetable processing (+19.5% p.a. ), food products (+13.5% p.a. ), fertilizers (+36.6% p.a. ), lifting and material handling equipment (+32.1% p.a. ), medical and surgical equipment (+18.6% p.a. ), seafood products (+27.9% p.a.) and professional and scientific equipment (+13.9%). China is the primary destination for Queensland’s manufactured goods exports, with over $19 billion (19.5% of total goods exports) heading to China in 2015-16. Where next for Queensland manufacturing? Queensland manufacturers have staged something of a recovery over the past 12 months, with Ai Group’s Performance of Manufacturing Index (Australian PMI®) for Queensland outperforming the national Australian PMI® in most months, with an average of 54.4 points (values above 50 indicate expansion, with the distance from 50 indicating strength of expansion) versus a national average of 52.7 points over the year. Queensland manufacturers finished the year strongly, with an average Australian PMI® score of 58.2 points in the three months to December 2016. This strength is largely because some of the strongest sub-sectors in the Australian PMI® in 2016 have a significant presence in Queensland. 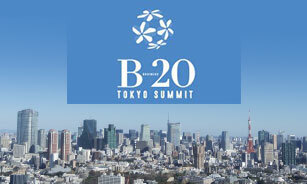 These include the food & beverages sub-sector and the petroleum, coal & chemical products sub-sector. Conversely, some of the more challenging manufacturing sectors – and most notably the automotive assembly supply chain which is in the process of exiting from Australia – have a smaller presence in Queensland than in the Southeastern states. A common theme for 2017 is that the manufacturing sectors benefitting from the low Australian dollar are growing well, with increased opportunities for export (and import replacement), together with growing consumer markets in Asia (and particularly China). The lower Australian dollar and growing Asian markets are presenting new opportunities, particularly in food, beverages and other consumables manufacturing. At the same time, the bounce back in commodities and metal prices has improved the growth prospects for manufacturers that mainly sell into the mining sector. Additionally, opportunities are growing for more specialised equipment manufacturers. Are you a manufacturer in Queensland? Does this Blog match with your outlook for 2017? Start a conversation by leaving a comment below.